For this cake set, it comes with a pre-mix flour and plastic bowl. Just need to get some bacon and an egg. First beat the egg in the bowl provided. Then add the flour mix as you continue to beat the egg. 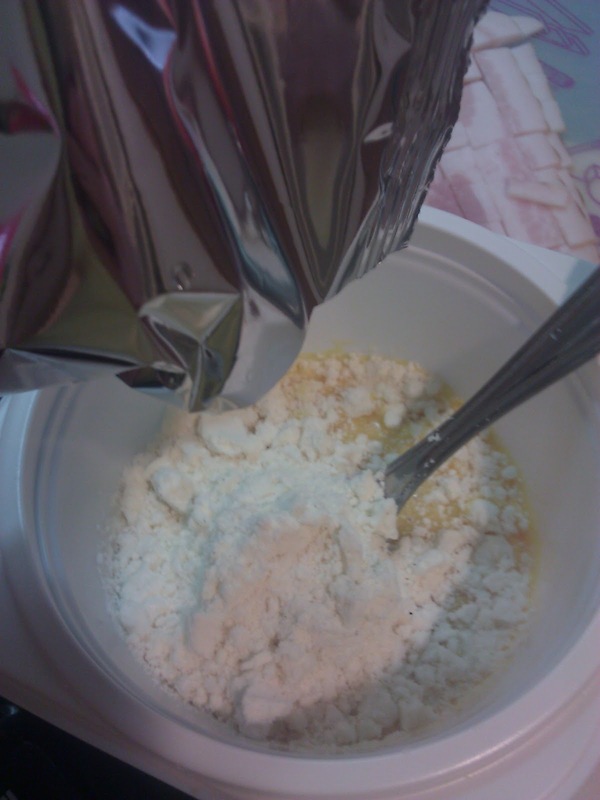 There's already bits of cheese powder, so you can imagine the smell when the cake is done. Continue until all ingredients are evenly beaten. 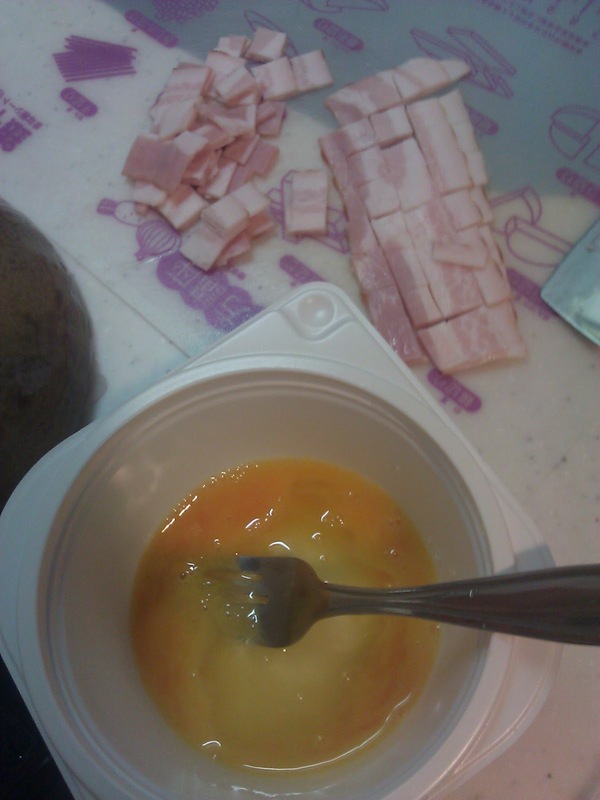 Then put in the bits of bacon into the mix. 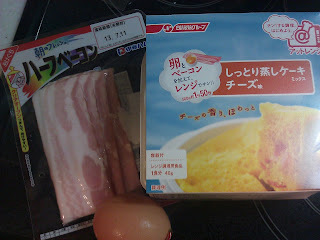 If you don't like bacon (or can't eat bacon), this can be substituted with sausage. I have to admit there was a bit too much bacon in mine, so perhaps I could have fried it first for the flavour to come out. 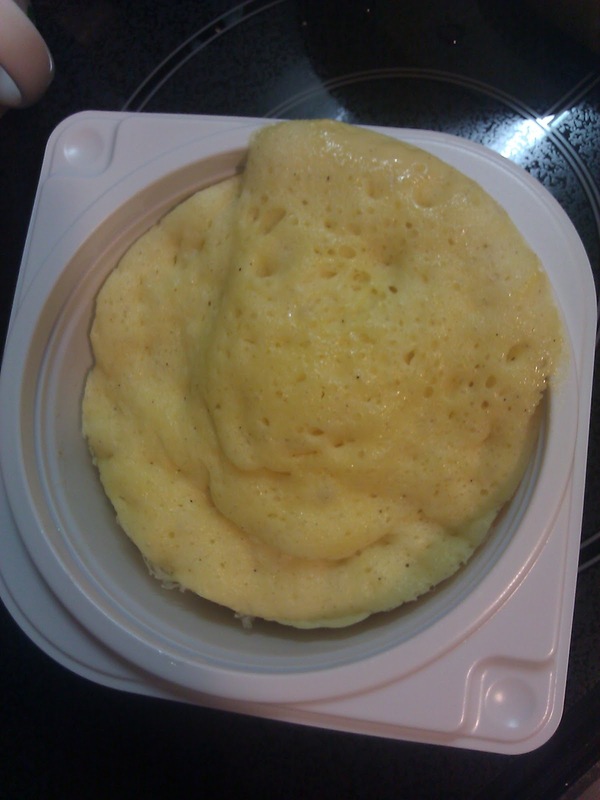 I didn't take the picture, but the next step is to put this into the microwave oven. 500W for about 2 minutes. I got excited seeing the cake mixture rise! But I was happy coz I finally "baked" something on my own! LOL Never mind this is kinda like cheating, but I guess this is how bakers feel when they see all their measured ingredients coming well together to produce something deliciously edible. 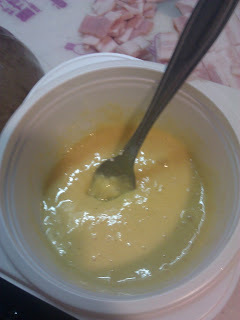 If I go by my experimental style, I'm sure it won't turn out to be a cake at all. I had a bite of it while it was still a little steaming hot. 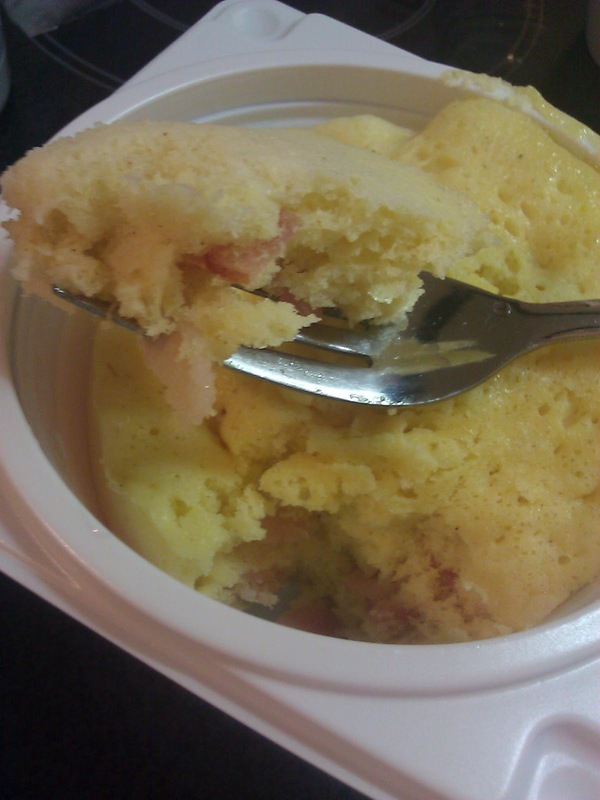 Not bad I must say, though kinda strange to be eating cheese flavoured steamed cake with bacon bits. This reminds me of the traditional steamed kuih that we used to get in markets back home.